Arrow HT50P hammer tacker with an all steel construction and durable chrome finish and high carbon hardened steel working parts. With a jam resistant mechanism, precision locked rear loading, retractable striking edge and specially designed power grip handle. 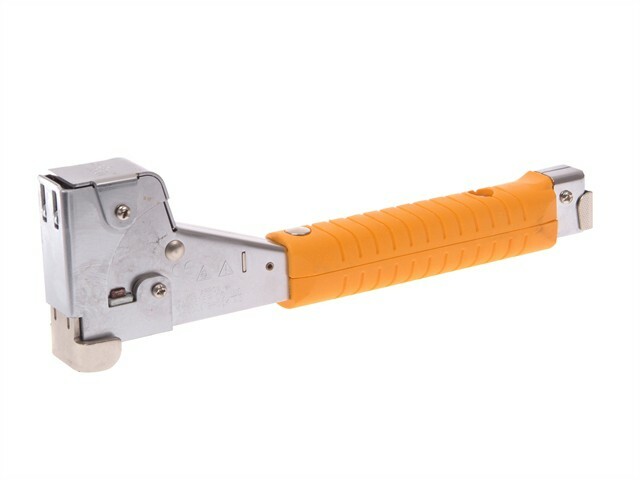 This hammer tacker will tackle many jobs which require speed and is ideal for furniture fabrication and building insulation. Will feed and drive two full strips of arrow T50™ staples in three sizes: 8-12mm - 5/16, 3/8 & 1/2 in.